I am going to be 100% honest and let everyone know that I thought “à la mode” was a fancy term for “something is served”. I don’t know about you but I have been enjoying learning about all of these terms and how they are incorporated into food! So, there are two definitions to “à la mode”, one that is general and the other is mainly in the US and Canada. General definition is that there is some kind of meat that is braised with veggies and wine. The other definition that is mainly in the US and Canada is a dessert served with ice cream. Since there are two definitions of à la mode, I will be putting up six recipes, three for each. If you look up traditional “à la mode”, you will come across a term called “boeuf” which I am guessing is the proper term for beef. I stumbled across this fancy Boeuf à la mode that uses herbs like thyme and a bay leaf! I have always wanted to use one. This does take 2 hours and 30 minutes, according to the website, so you could probably put this in the slow cooker while you are away at work. Tripes à la mode is part of a cow stomach, and I have had tripe cooked in Asian dishes, but never thought about it from a French perspective. This recipe definitely has different ingredients like a calf’s foot, so if you are adventurous this might be a good one to try. So, Waffles à la mode? Yes, please! Not to mention that this recipe is all about making it simple. The timing needed is about 10 minutes! I definitely will have to try this in the near future. 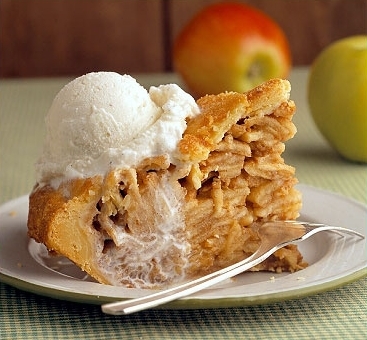 Based on a quick search on Google, apple pie seems to be the winner for desserts, here is a Apple Crunch à la mode that can be ready in an hour and thirty minutes. Not too shabby for a pie, not to mention that most of that time is baking time. Brownie Pie à la mode?! I love anything to do with chocolate and this recipe claims to be done within an hour. Looking at the ingredients, most of them are in households, but there are things like the chocolate chips and vanilla extract that you might have to buy. Okay, Apple-Cinnamon Wanton à la mode? Whoever thought of that is either a genius or had to compromise with no wrappers to use wanton sheets (wantons are similar to dumplings). This recipe comes from Weight Watchers so it is health conscious but I don’t think that it would be any less delicious.